It is human nature that he always cherishes what is there in other’s platter and forgets to count his own blessings. A healthy human body with a beautiful mind is the carrier of this divine soul which is longing for the supreme. It is a universal truth in every era. How much so ever we ignore the soul and keep beautifying the physical body, eventually one realizes that we haven’t done anything to beautify this soul which is THE permanent entity. Good news is that there are some souls on the Earth who constantly remind us and some who are following this path even if they don’t have vision or hearing power or in other words, they are differently able souls. 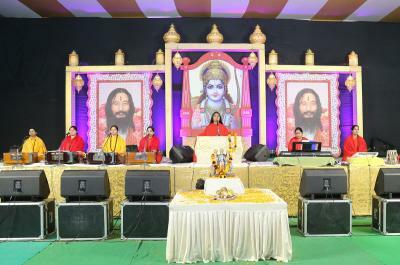 DJJS (Divya Jyoti Jagrati Sansthan) is a socio-spiritual organization working for the benefits of these differently able souls through its project ‘ANTARDRISHTI’. 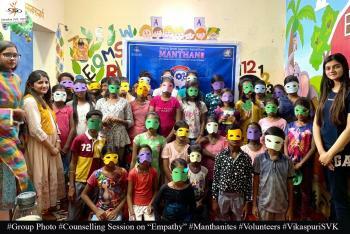 The founder and mentor of DJJS, Shri Ashutosh Maharaj Ji, is working to bring them into the mainstream society with dignity by providing them with a sound spiritual foundation, vocational, extra-curricular skills, employment opportunities and holistic growth. 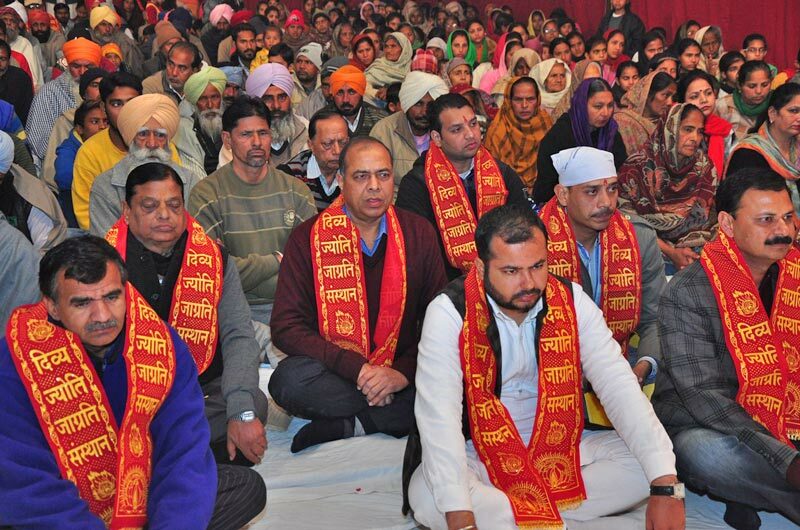 Recently, ‘Shri Ram Katha’ event was organized in Moga, Punjab from 1st January 2016 to 3rd January 2016 which was dedicated to the ‘Antardrishti’ project. 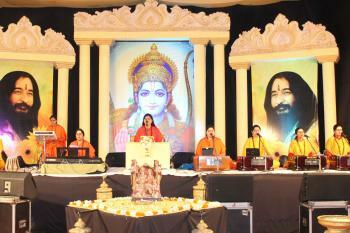 Sadhvi Sachi Bharti Ji, disciple of Shri Ashutosh Maharaj Ji was the orator of the event. 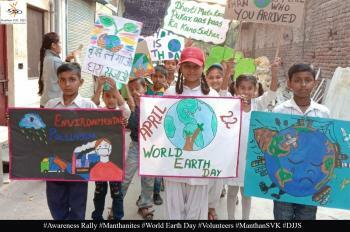 The chief guests of the Katha were Shri Sanjeev Saini (Chairman, BBS Group), Shri Hiralal Sharma (Chairman, Y.R.S. 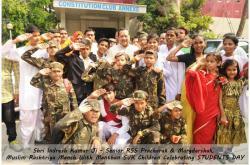 Group) and Shri Chamanlal Sachdeva (Chairman, Babe KE Ayurvedic College). 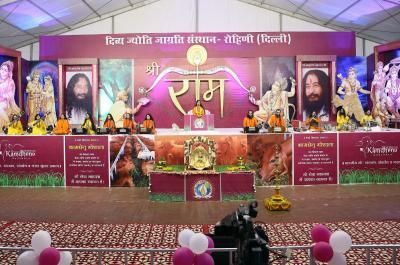 The objective of conducting Ram Katha was to support this project as well as spread the RIGHT message of spirituality from the life of Lord Rama as given in Shri Ramcharitmanas. The orator unravelled the hidden meanings contained in the spiritual texts which is not easy to decipher unless guided by an enlightened person. 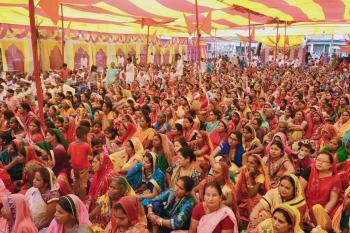 The event started with ‘Kalash Yatra’ followed by the recitation of Katha. Sadhvi Ji, flawlessly, explained the incidences from the life of characters in Ramcharitmanas, acquainting the audiences with the gifts of Devotion (Bhakti), Divine Knowledge (Brahm Gyan) and Salvation (Mukti). She also explained the need of a Perfect Master in one’s life. 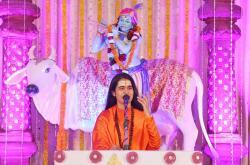 The discourse was accompanied by devotional and soulful Bhajans. 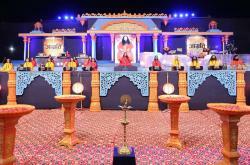 The gist of the entire story of Lord Rama is to realize thyself which is possible only with the eternal technique of Brahm Gyan provided by ONLY a perfect master. By realizing only, one can have the balance of materialistic and spiritual goals, thereby living a contended and peaceful life. 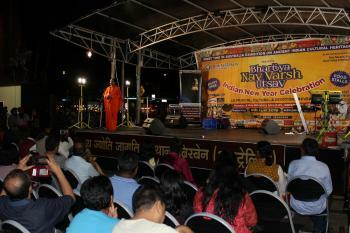 The last two days of the program also saw a large number of people being initiated into ‘Brahm Gyan’. 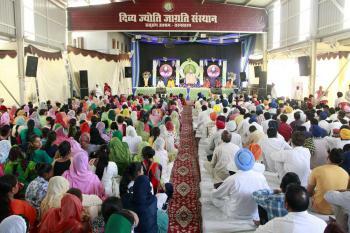 On the whole, the Katha proved to be a powerful medium of familiarizing the masses with the dire need to transform by practicing Brahm Gyan.